What is Rotary all about? 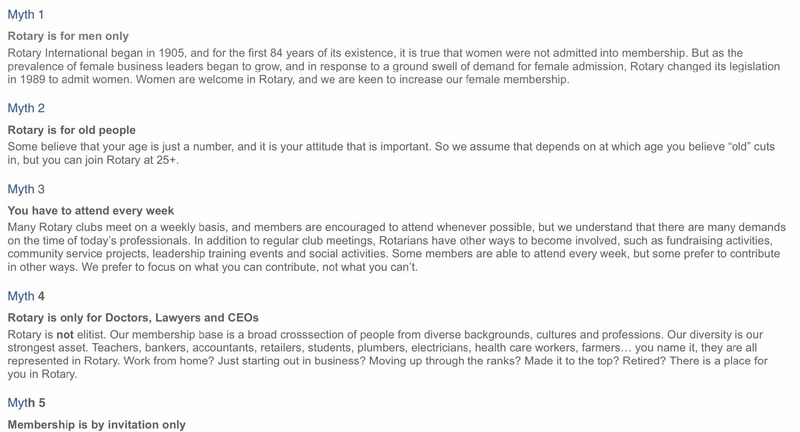 What are the major misunderstandings about Rotary. 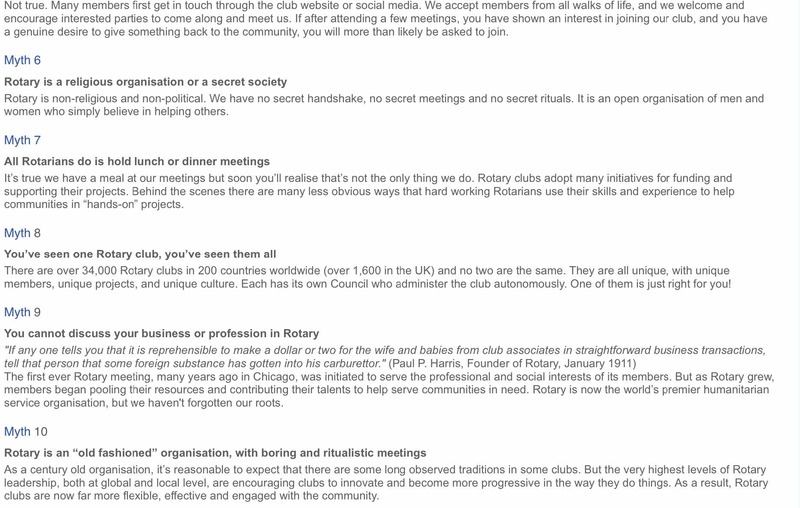 The 10 Top myths revealed about Rotary.